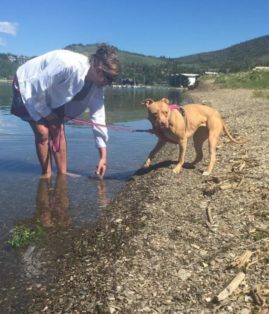 Alison Reder, pet parent to: Zora, a fourteen-year-old yellow lab; Simon, a ten-ish-year-old yellow lab, her first rescue and Piper, a two-and-a-half-year-old-ish American Pit Bull Terrier, runs the Sarcastic Dog blog. There is a great deal of outreach and education that needs to happen around animal welfare in this country and for Alison that conversation can’t happen without acknowledging the negative impact on pit bull type dogs. “Dogs are dogs and humans have a responsibility to learn and understand their body language, provide opportunities for our dogs to be properly socialized and exercised and to increase access to resources to support dogs and their guardians in our communities,” she said. As her blog has evolved, Alison said she’s started writing more about getting and staying healthy with our dogs. 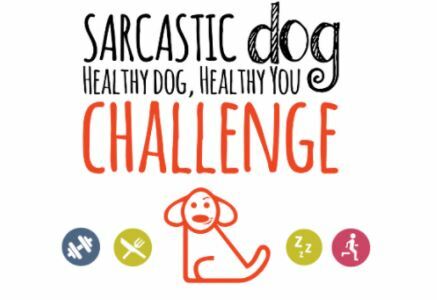 “There is a saying that goes, ‘If your dog is overweight, you’re not getting enough exercise’ that inspired me to launch the Healthy Dog, Healthy You Challenge in 2016.” The challenge, she said, is designed to get everyone outside and doing more with their pets but, more than that, the challenge is set up to help participants work on issues they may be having with their dogs while out and about on walks – things like leash reactivity, fear or anxiety and more. How is your blog making a difference? “Generally speaking my blog is about dogs. All things dog. I hope by sharing my successes and my failures as a pet parent, I make others feel comfortable in sharing theirs.” Alison said it’s also especially important to create safe spaces for people to talk about the training and behavior challenges they may be facing as there is a weird assumption/expectation (especially in online communities) that everyone else is perfect or that everyone else is feeding the right food or has perfectly well behaved dogs, etc. which is simply not the case. She hopes the Sarcastic Dog provides people that safe place to come ask questions and share their stories. “If I don’t have an answer, I will find someone who does,” she promises. 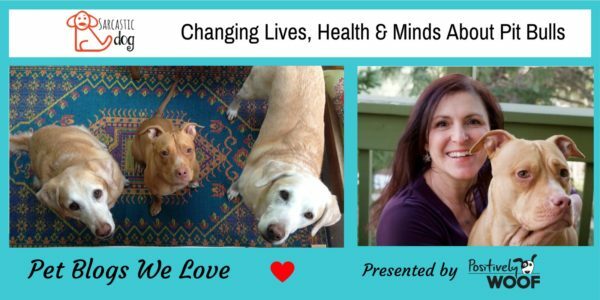 Changing the Conversation About Pit Bulls Is her y interview and book review with author, Bronwen Dickey about her book, Pit Bull: The Battle Over an American Icon is still one of her favorite posts. Pick up Your Dog Poop, In this post I try to encourage (rant about) being a responsible dog parent. This is a humor piece with a purpose. 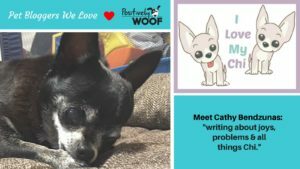 What got her into the blogging and pet world? I blog to help overturn Breed Specific Legislation (BSL). 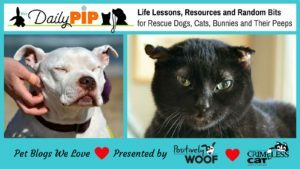 I blog to help end puppy mills and dog fighting. 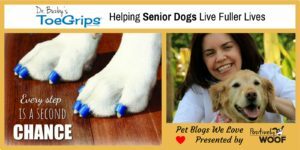 I blog to build and connect with a community that shares my passion for animal welfare, loves funny stories and adorable dog pictures and is interested in changing the conversation about pit bull type dogs.